-exploring Louisiana (horseback riding! plantations! jambalaya!) 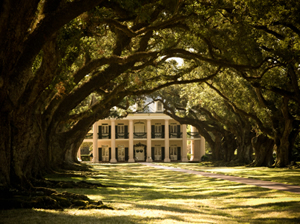 That’s Oak Alley plantation pictured above and I just visited it this weekend! So historic and beautiful! Phew! It’s been busy ’round here. But I hope to get back into the blogging swing of things. How are things going financially for us? Well, moving cost an arm and a leg, what with security deposit, gas, and the moving truck, but (thank God!) we got out big tax refund right before we moved. It was big this year since we were both students in 2012 and only had one income so hooray for tax credits! What did we do with the tax refund? Well, we paid our moving bills so we didn’t have to dip into the emergency fund. Then we paid off a loan I took out to travel to my sister’s wedding in California last year (yep, I was short a few thousand and borrowed it. I’m trying not to have to do that again). We also paid off a medical bill that we had been paying installments on from a few emergency room trips that my hubby had last year. Ouch! Glad he’s okay but even with insurance we got a big bill. So now we have some extra cash in our budget which is freed up for other debt repayments. Really, some of it will disappear since my paychecks will be a bit smaller since I changed jobs. So we have to see how it all shakes out. It’s cheaper to live here but with the furlough coming and our debts hanging around (not to mention tuition costs), we certainly will keep living frugally. Have you moved before? How do you adjust to a new place?